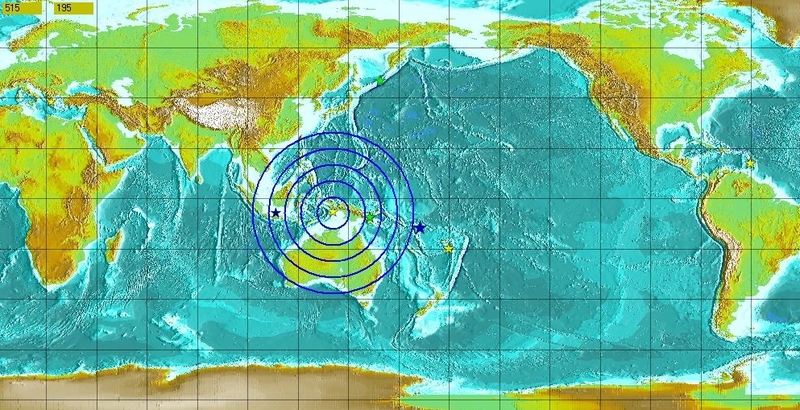 RIMES provides earthquake alert and tsunami watch services to countries along the Indian Ocean and South China Sea regions. Located at the RIMES regional facility in Pathumthani, Thailand, with capabilities to receive and analyze seismic, sea level, and deep ocean sensor data, the RIMES Tsunami Watch Center utilizes data generated from its own monitoring stations and from global networks to evaluate the tsunamigenic potential of an earthquake. To keep a close monitoring of the earthquakes that transpire within its area of responsibility, the Center is operational 24 hours a day, 7 days a week and is assigned 2 Watch Standers per shift. Through cooperation among 26 countries in Africa and Asia, RIMES works with the National Tsunami Warning Centers of Member States for the generation and communication of early warning information and capacity building in disaster preparedness and mitigation towards t he development of tsunami-resilient communities.Utilizing common protocols for tsunami warning within the framework of the United National Educational, Scientific and Cultural Organizations Intergovernmental Oceanographic Commission (UNESCO/IOC), RIMES provides regional tsunami watch and enhances the capacities of its Member States for early warning. RIMES covers the entire spectrum of early warning from hazard detection to community preparedness. RIMES incorporate s tsunami early warning into existing national warning systems through its interrelated components including regional tsunami and earthquake monitoring , advisory dissemination, decision-support tool development, potential impact and risk assessments and other related research on trans-boundary hazards .